Everything you need to know about the 2018 Korean Film Festival in Australia (KOFFIA) – Hello Asia! The Korean Film Festival in Australia (KOFFIA) will be returning to Australia for its 2018 program with a whopping 22 Korean films across all genres. The Festival will take place in Sydney (9-18 August), Brisbane (15-16 August), Melbourne (6-13 September) and Canberra (21-23 September). Presented by the Korean Cultural Centre Australia, KOFFIA aims to showcase the very best of Korean culture through film, covering big budget blockbusters and intimate art-house flicks alike. The Festival will be hand picking some of the finest projects to come from Korea’s already booming film industry- Hallyuwood. The opening night of the festival in each state will be Little Forest, the feel-good flick starring Kim Tae-ri (The Handmaiden), following the story of a young woman who decides to leave the big city behind for her country hometown as she reunites with her childhood friends. Each closing night will screen the Korean art-house hit Microhabitat (pictured above). As the winner of the GCV Arthouse Award at the 2017 Busan International Film Festival and the debut of director Jeon Go-woon, Microhabitat follows an ageing housekeeper fighting the rising cost of rent, who decides to ditch her life for a journey through Seoul, reconnecting with old friends in the process, all while being able to afford one her greatest pleasures; cigarettes. Other headliners throughout the Festival include popular Korean flicks such as A Taxi Driver, which was selected as South Korea’s pick for the Foreign Language category at the 2018 Academy Awards. Based on the real-life Gwangju Uprising of 1980, Kang-ho Song (Snowpiercer) stars a driver, escorting a German journalist from Seoul to Gwangju city in the midst of a political uprising. In the thriller category, Forgotten tells a violent tale of amnesia and murder as a man investigates the strange disappearance of his brother, after he reappears with no memory of the event. Director Chang Hang-jun and producer Jang Won-seok be be guests at the Festival and present a Q&A following the film’s screening in Sydney. The Korean drama A Day will also included in this years program, in the spirit of the western comedy Groundhog Day, A Day follows a surgeon who returns home, eager to reconnect with his teenage daughter, only to find her killed by a taxi upon his arrival. Howevwer, his nightmare has only begun, as he is forced to re-live the same event over and over again. 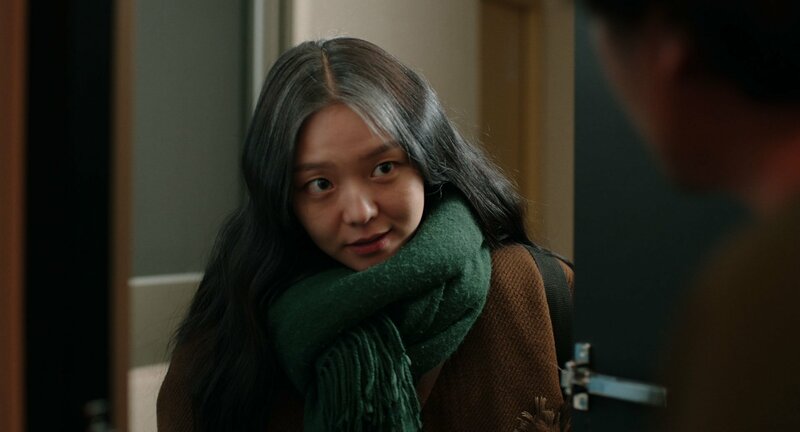 As for comedies, I Can Speak follows the heartwarming story of an unlikely friendship between a young servant named Min-jae and an elderly lady nicknamed ‘Goblin Granny’. As Goblin Granny terrorises Min-jae daily, she vows she will stop her complaints in return for English lessons, in order to reconnect with her long-lost brother in America.